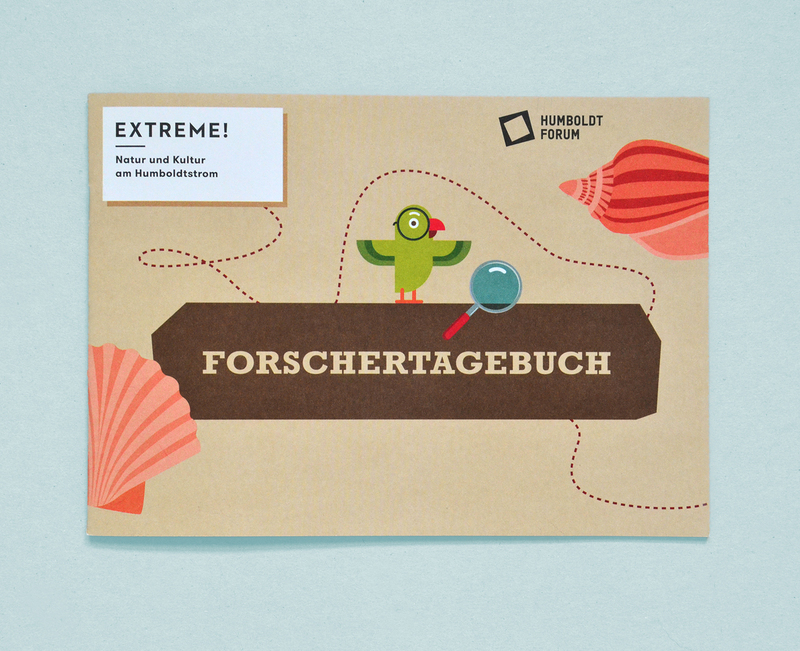 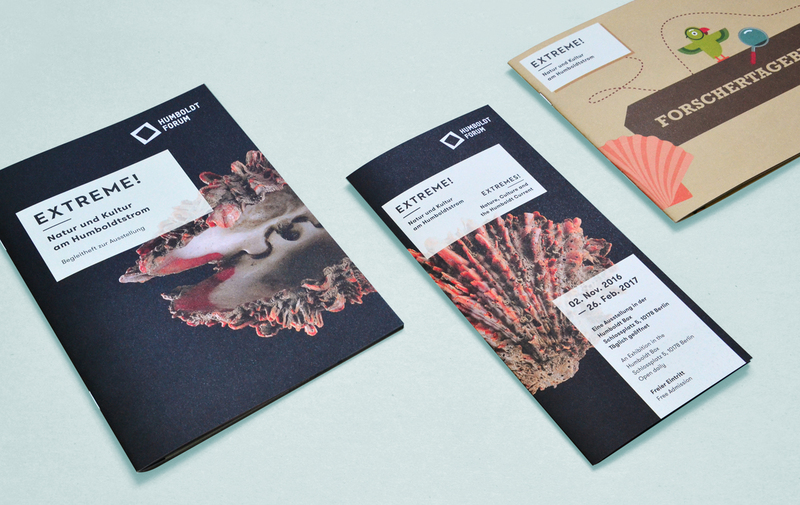 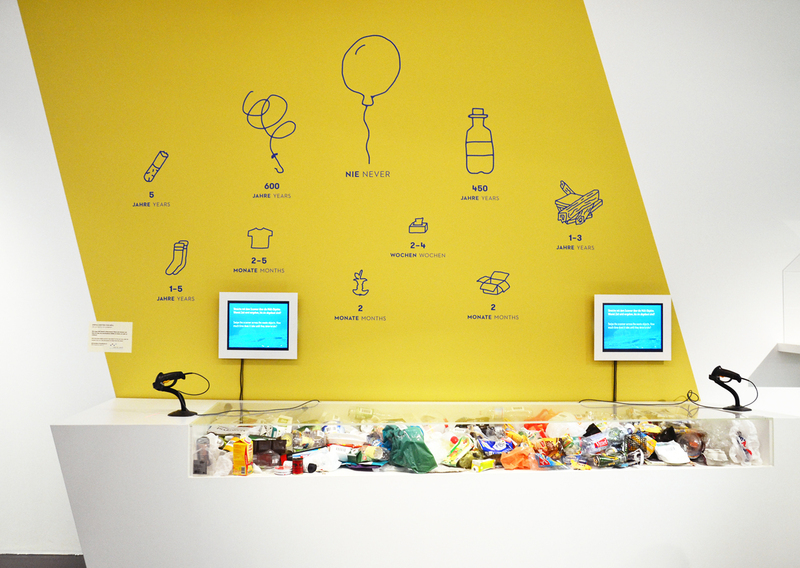 I was part of a team of designers and illustrators at studio »Gourdin & Müller« that was responsible for the visualization of the exhibition »Extreme –Nature, Culture and the Humboldt Current«. 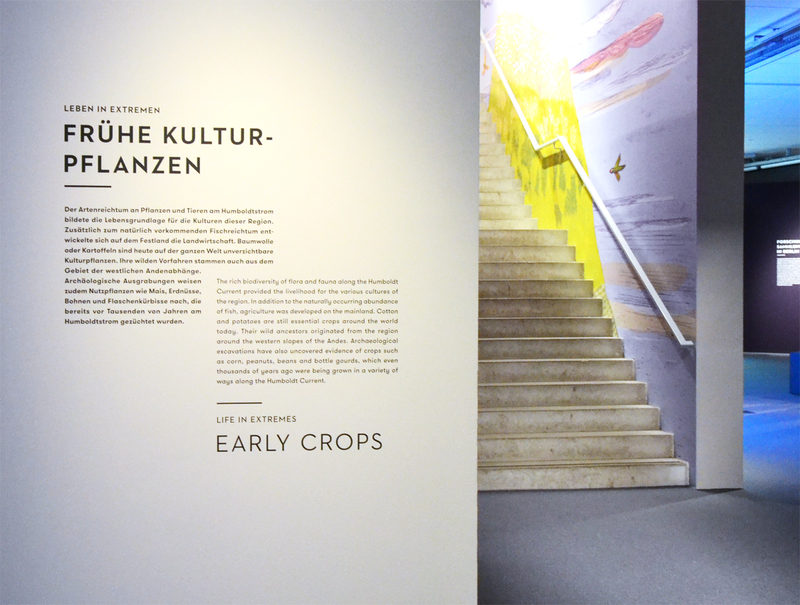 The exhibition took place in the Humboldt Box (part of the Humboldt Forum in the Berliner Schloss) in Berlin. 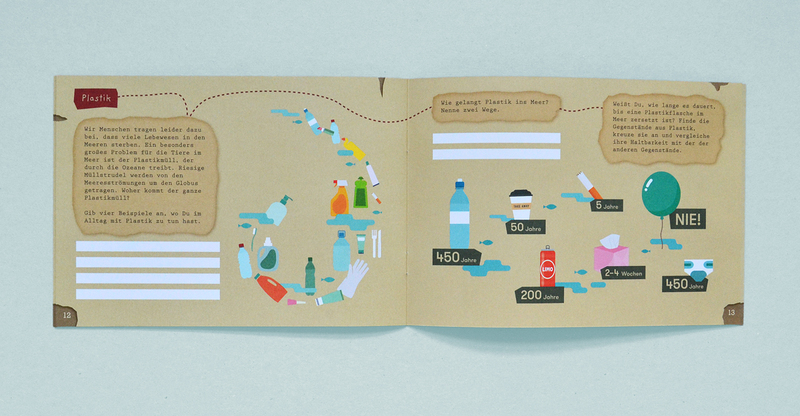 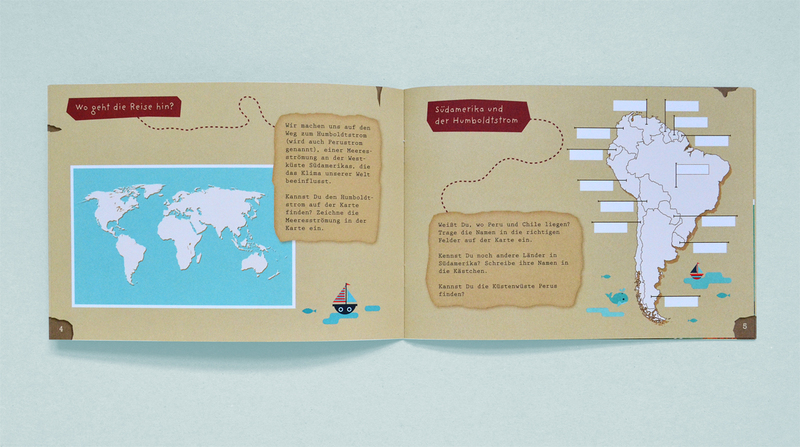 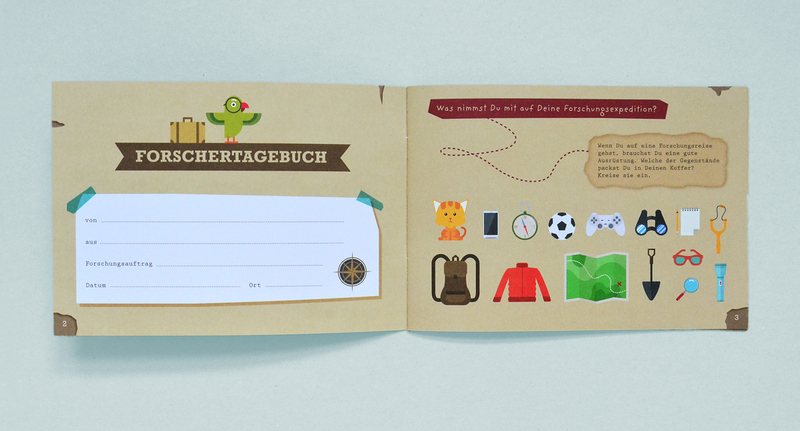 My main task was the layout and development of a visual concept for an explorer`s diary that was given out to children. 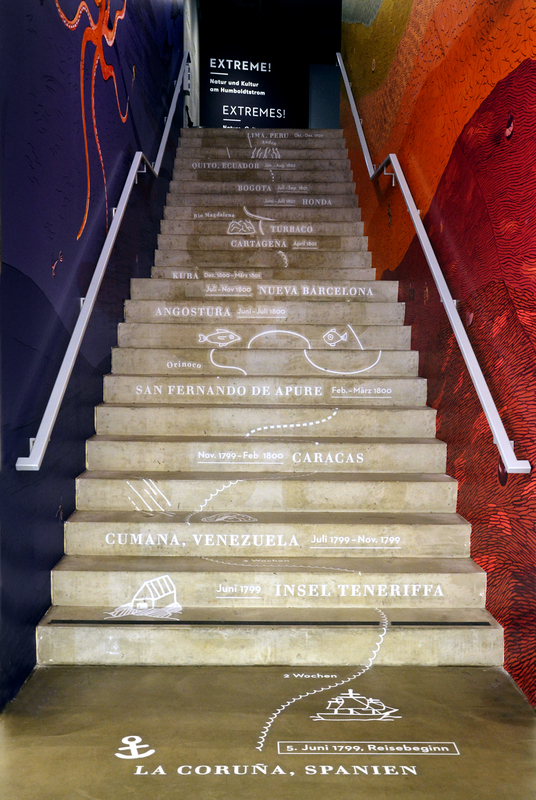 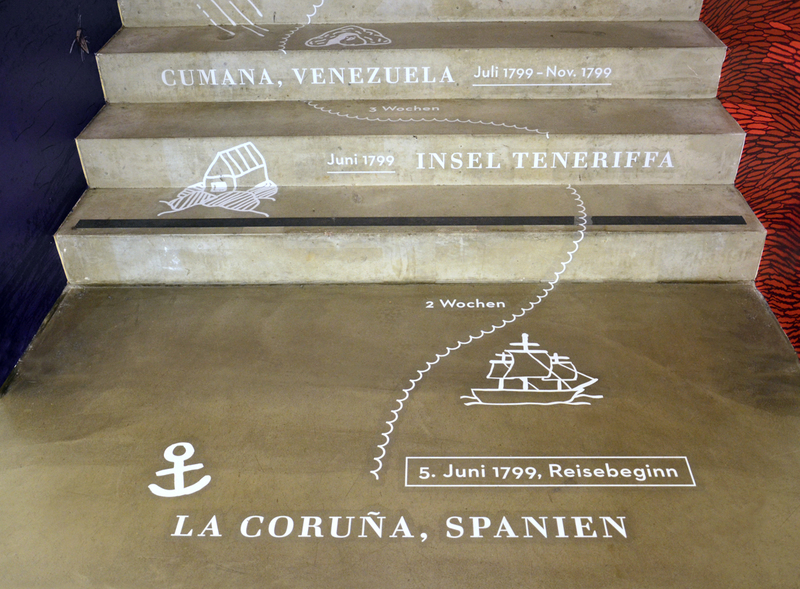 I was also involved in the editing of info graphics (like the timeline on the stairs) and communication tools (like the flyer).